Behind every successful person is their productive lifestyle. Properly managing your time, categorizing tasks according to their level of priority and urgency and planning your daily tasks is what brings productivity in life. However, planning all this requires a proper methodology with your daily itinerary available at your fingertips. How would it be if these tasks are listed directly at your workstation where you can quickly mark the completed tasks as finished, see the status report of the whole team as to where each team member has reached in their task, check out the last meeting notes, see what all is scheduled for the rest of the day and just jot down ideas that you come to you on the fly? This all and more is made easy by the Taskade application. It is true that there are many other productivity applications that can do the same things that Taskade does. However, what might make Taskade the preferred application for you is that rather than being available just as a mobile application, Taskade is available to your as a desktop application or as a browser extension too. The launch of apps for Android and Apple are also in the pipeline according to Taskade's product page. 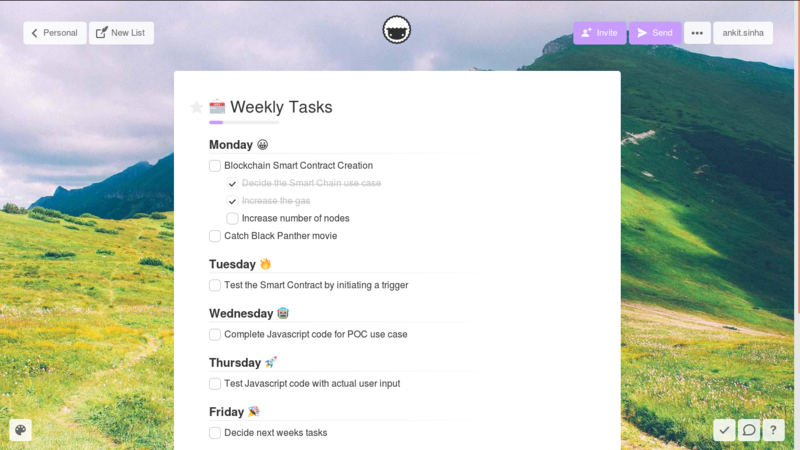 In addition to being available on a host of environments, the UI of Taskade is simplistic and relaxing allowing you to focus on planning your day, jotting down your ideas and collaborating with your team on tasks. It is an application which can be used by anyone ranging from a student to a working professional leading his/her team. 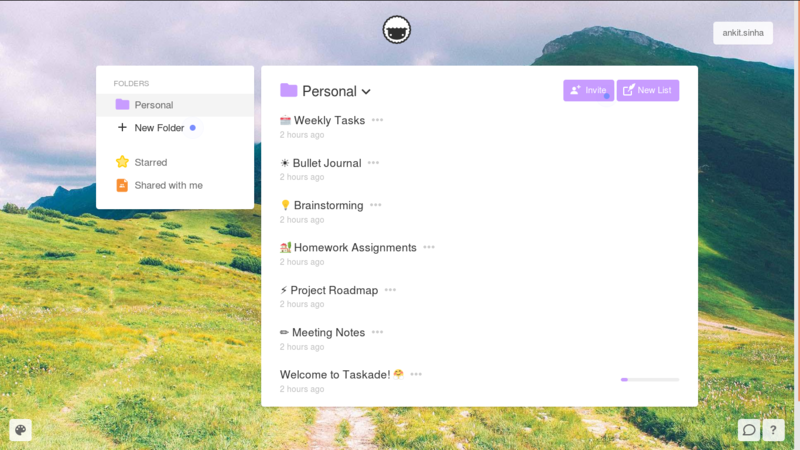 Taskade is as good as a physical notebook but with many added features. You have a blank page on which you can create a list of anything under the sun. If you create a task you have checkboxes you can use to mark the tasks complete. You can add sub-tasks with parent tasks and create any level of hierarchy in the tasks. You can plan not only your day but also your week to make sure you don't miss anything. You can share the list as in View mode to show your progress or Edit mode if you are collaborating with a team where your team can add tasks or mark them finish. You can create Folders (in addition to the pre-existing Personal folder) with which you can seperate your Office, Family, and Private tasks. For example, plan your weekdays in the Office folder and your weekend in Family folder. The possibilities of usage of Taskade are unlimited. You can make any type of Checklist, Outline, Notes or use a default template. You can just forget a notebook and adopt this free tool which is available directly on your browser where you can set it as your default tab instead of the search (since search in any case is not directly available through address bar). Whenever you open your browser you have your tasks defined by you today in front of your eyes, gently reminding you to complete the work you have planned to complete today. It is definitely worth an application to give a try if you are seriously looking to increase your productivity by making your day more organized and disciplined.